‘D.O.D: Future Jack’ is an exciting collection of high-energy Future Jack samples to fire up the dance floor. With 100% Royalty-Free content from innovator of the genre D.O.D himself, this pack contains everything you need to unleash peak-time Future Jack upon the masses. D.O.D has had a huge year as both a DJ & producer, down to his originality, forward-thinking vision and dedication to music. He’s been developing the ‘Future Jack’ genre, which has taken off over the last twelve months with tracks like ‘Sixes’ & ‘Satisfy’ and releases on labels like Spinnin, Fly Eye, Mad Decent, Axtone and Sise. He’s had support from Diplo, Axwell and Steve Angello and long list of A-list DJ’s including Calvin Harris, A-Trak, Tiesto, Sander van Doorn and Afrojack. ‘D.O.D: Future Jack’ comes with 665 MB of loops, one-shots, sampler patches, MIDI and synth presets to get the entire dancefloor moving. The collection features a wealth of loops and one-shot sounds including drums, bass and melodic content, basically everything you need to create full Future Jack productions. Expect to hear of pumping basses, laser sharp synths and plenty of jacked–up beats. No one knows this genre better than D.O.D as he basically invented it, so now is your chance to sample it direct from the master. This exclusive collection also features over 210 one-shot samples, each formatted into sampler patches to be deployed immediately in your DAW. These include hard-hitting drums, epic FX, ballsy basses, chunky synths and superb vocal hits filled with energetic fire. 100 MIDI files are sure to get your creative flow going, enabling you to trigger VSTs and transpose the notes for your perfect Future Jack arrangement. 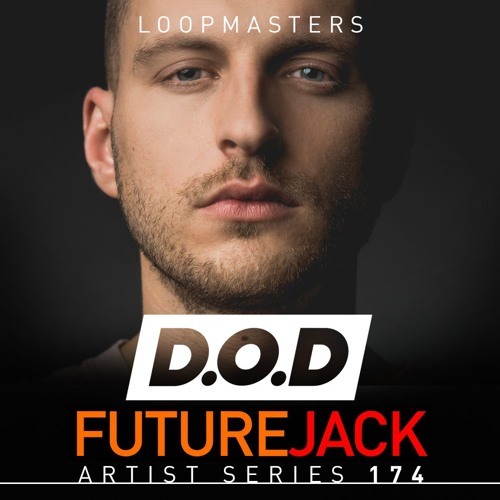 At 126 BPM, ‘D.O.D: Future Jack’ is ideal for House, Electro, Future Bass, EDM and other high energy Electronic genres. All melodic content is key labelled for instant application in your mix. ‘D.O.D: Future Jack’ is a techtonic melting pot of the biggest Electronic genres around today. Download the free taster pack and check out the audio demo to hear more.